Three points of contact provide stability. There are a plethora of patterns that new tiers could begin with. Yet three in particular lay out the fundamental techniques needed to create a stabile foundation for your fly tying future. 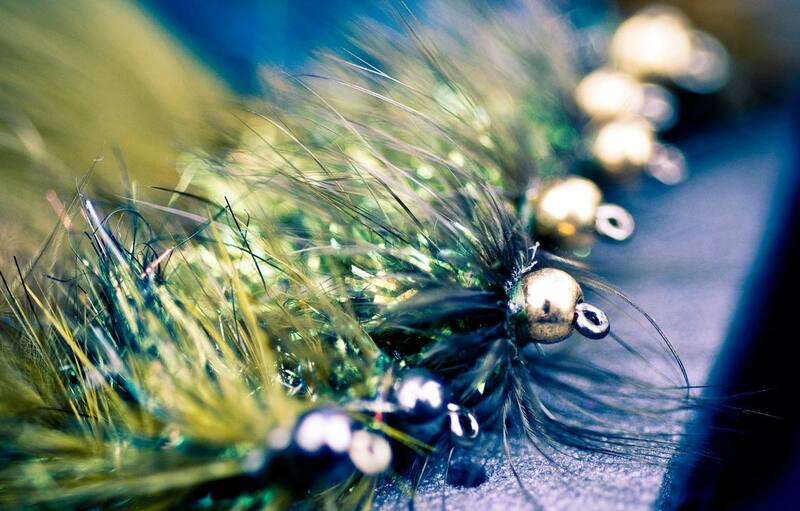 The Woolly Bugger, Pheasant Tail and Elk Hair Caddis have all proven their worth. The results that these patterns have produced for anglers around the world are undeniable. Yet equally as important, but often overlooked, is the value of these three bugs to beginning tiers. Successful fly tying stems from mastering techniques. Once these techniques have been mastered they can be applied to additional practices and the subsequent patterns that are created through their use. While constructing the Woolly Bugger, tiers work with tailing materials, chenille and wrapping hackles. The Pheasant tail provides a practicing ground for proper nymph proportions, feather bodies and ribbing materials. Lastly, the Elk Hair Caddis introduces the tier to dubbing, more precise hackle use and hair wings. By learning and mastering these three patterns, new tiers can anchor themselves to a successful starting point. The skill set created through the creation of these bugs reaches far and wide in its application throughout the fly tying world. Watch these videos and learn to tie 3 Classic Flies For New Tyers. This entry was posted in Fly Tying, The Hot Ticket, Trout Fishing and tagged WATCH THESE VIDEOS AND LEARN TO TIE 3 CLASSIC FLIES FOR NEW TYERS. by Louis Cahill. Bookmark the permalink. I started tying 9 years ago. The first three patterns I tied were: a white Clouser, a Bucktail Deceiver and a Gotcha. I then moved on to tie a couple of boxes of CIS’s as I was going to Kiritimati. These days I tie over 60 patterns and to date have not tied anything on a hook smaller than a size 8 or lighter than a 2X strong. I have watched hundreds of videos on tying and have downloaded 1,600 docs on flies and fly tying. Have I missed something? If you’re focusing mainly on salt water patterns that size range would make sense. If you’re pursuing trout there can be definite advantages to tying smaller patterns. However, there are no rules or regulations that require that. The beauty of fly tying and fishing is that you can do what works for you. Anyway you can share the tying docs? One of the most intimidating aspects of fly tying for beginners is not just the seemingly infinite variety of patterns – but also the endless variety of hooks, materials, and tools/accessories that go with them. Every time a newbie looks at a new pattern, he encounters new and maybe uncertain techniques, but also he sees yet another new list of materials/hook styles and sizes that they don’t have. (Oh and now I need a dubbing spinner too). This can be exasperating, especially for those from the instant everything generation. It takes years/decades to acquire hooks, materials, tools, and other accessories – and we still never have it all. This is why no one ties flies to save money. – Four proven “3 material” nymph patterns that catch trout! – Four proven “3 material” streamer patterns that catch pike and muskies! Excellent pattern choices for this article; simple materials, effective patterns that catch trout, and essential techniques as noted. R-bob, that’s great insight and excellent thoughts. I’ll see what I can do. Thank you for sharing! I tied my first fly in 1972. It was nothing more than a black hackle wrapped on a size 16, gold salmon egg hook that came in a pack of 10 from Eagle Claw. My intention was to imitate one of the mosquitos that were siphoning off my blood fishing some beaver ponds off the Blue River below Breckinridge, CO. I caught fish. My advice for new tiers and fly tying instructors is to teach and emphasize techniques rather than patterns. Once you master a technique, and can recognize it in a fly, you can tie any pattern you see or that your devious little mind can dream up. The Fly Tier’s Benchside Reference by Ted Leeson and Jim Schollmeyer is probably the best technique encyclopedia available today. Tied my first fly (McGinty) on a Thompson Model A in 1971. Learned techniques from a black and white manual complete with low res photos. Techniques are now best learned from online videos – not books or magazines. Bob Reece, Davie McPhail, Barry Ord Clarke, and Tim Flagler (Tightline Productions) make up the Mount Rushmore of instructional video fly tiers. There are other very good tiers of course but Tim Flagler id probably the best teacher of them all; every video contains at least one interesting and useful tip. Ha ha, Mount Rushmore. Well thank you and I agree Tim is the man! Have a look at Charlie Craven’s books and online articles for outstanding step-by-step instruction. Very good stuff on reliable patterns that actually work.